We are in that ‘thankful’ time of year. Leaves are falling, holidays are near and soon we will gather around tables with friends and loved ones to reflect on how grateful we feel. For the last couple of years, Dana Boyd (Texas State Teacher of the Year 2007) has been challenging me to post to Facebook each day of this month something for which I am thankful. This year I agreed, but I have found this act to be, on some days, extremely challenging. I am experiencing a serious family crisis. One of my faithful thought partners, Brad Hull, has left NNSTOY for a great new opportunity, and I miss this trusted staff member and collaborator. On top of this, I—like so many—have been devastated by the tone and rhetoric of the Presidential election, and I am concerned about the impact on our children. Though NNSTOY is growing by leaps and bounds – for which I am thankful –the workload is staggering on some days. So, coming up with those thankful statements has been a real challenge at times. A few years ago, I got to watch a beautiful lesson on gratitude from a gifted educator, Marcia Ritter (Missouri 1995) during our work on a service project in Tennessee. As part of her service, Marcia told me she was going to teach gratitude to a group of students. I remember feeling stumped: How does one teach gratitude? How does one learn it? Amazingly, Marcia pulled it off, demonstrating to students what it means to be grateful, to express thankfulness, and to experience the joy that appreciation brings to both the giver and receiver. I’ve been thinking about Marcia lately, trying to channel some of her gratitude. Then this happens: I spend a few days with the Utah State Teacher of the Year (STOY) chapter as they plan their ECET2 conference celebrating teaching excellence and work through their chapter mission. Their enthusiasm is infectious. I work with our Director of Professional Learning Peggy Stewart (New Jersey 2005) and an incredible group of STOYs to build Module 6 of our Teachers Leading Professional Learning Modules, helping teachers to build strong relationships with families and communities. The work is meaningful and the STOYs bring out the best in each other. I talk with individual STOYs about their own struggles and joys with their jobs, their post-election feelings, their children (both personal and professional), their dedication to this profession that we love. And I am reminded of Marcia’s lesson. Sometime, gratitude is a struggle. Sometimes it is easily found. Always, it is a gift. As we begin our Annual Giving Campaign, I am deeply grateful for this association, for this family. For that is what we are. A family of gifted educators each of whom cares deeply about our craft, our profession, our students, our communities, our future and one another. To watch our members come together across states and years, exchange ideas, and solve problems is the greatest joy of my job. For those of you who don’t know this, I am a detective novel junkie. In one series I love, the main characters tell one another, “I’ve got your 6.” They mean that as individuals, we can see our 12:00 – it’s in front of us. We can see our 3:00 and 9:00 peripherally. But, as individuals we can’t see our 6:00; it’s behind. I’ve got your 6 means I’ve got your back. At this time, perhaps more than any other, I am grateful to know that our NNSTOY family has one another’s 6. We care for one another in so many ways. Members help members with lesson planning, with blog writing, with policy advocacy, with chapter building, with research and dissertation work, with speeches, and with strategies for assisting families and students in difficult times. Our Board of Directors, thinks carefully through our governance decisions. I am grateful that I chose to leave my own four-walled classroom for this one, which has no walls, but where I teach in a broader and more complex setting. I am grateful for the opportunity that NNSTOY offers to us: to transform this profession. I am grateful that we have this network to lean on. While others are pulling apart, we are pulling together. I am grateful to each and every one of our members and friends. Without you, NNSTOY would not exist. Please consider making a donation to NNSTOY. Because we longer have dues, we absolutely rely on your donations to move our work forward. I thank you with all my heart for what you do each and every day for students, for families, for communities. I thank you for being part of my life. I have your 6; and I thank you for having mine. 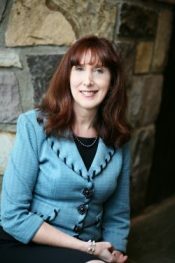 Katherine Bassett is the 2000 New Jersey State Teacher of the Year and the President and CEO of NNSTOY.